Texas Whataburger employees allegedly refuse service to police officers, officers say. Michael Magovern subsequently spoke to CBS Radio’s 1080 KRLD. 2 officers @Whataburger refused service in Lewisville. In uniform working off duty job nearby. @ChiefHealy Can you please give us more info in a DM? We would like to address this as soon as possible. One is reminded, of course, of the classic scene in the seminal 2001 film Super Troopers in which Vermont highway patrol officer Rod Farva becomes enraged when a “Dimpus Burger” employee fails to understand his order, conspires to fill his burger with spit, and sabotages his soda such that it spills comically on his (Farva’s) shirt. 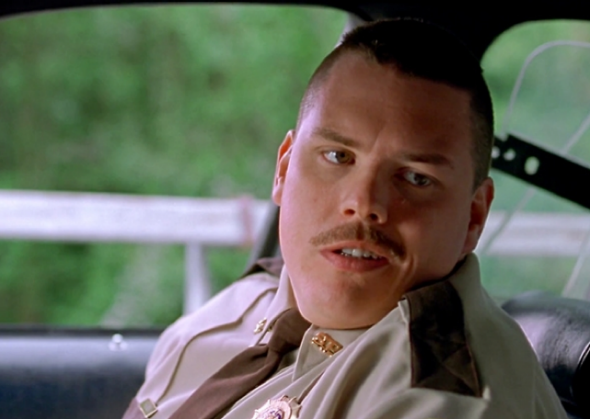 Super Troopers is truly the work of art that speaks most profoundly to the (dumbest parts of) our current national conversation about policing.